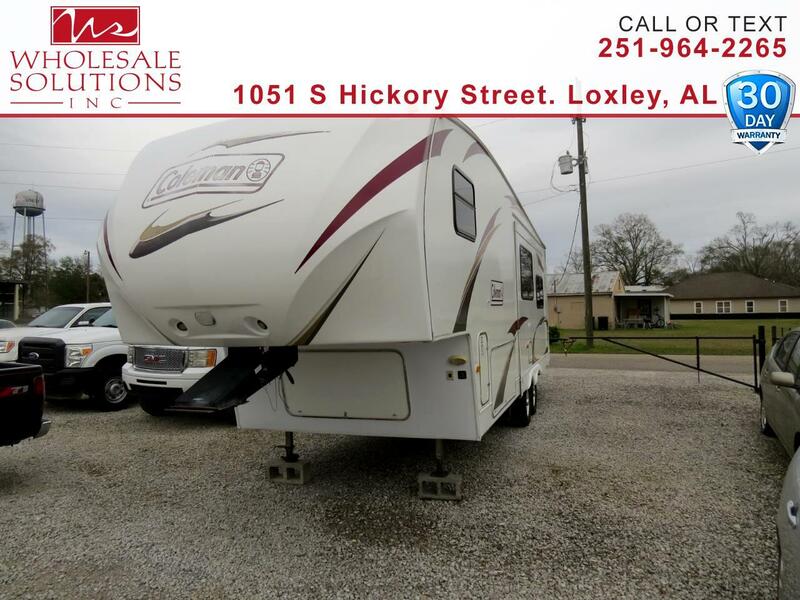 Used 2011 Coleman Travel Trailer M-259RE for Sale in Loxley AL 36551 Wholesale Solutions Inc.
***Financing Available***, 5th Wheel. Buy with confidence at Wholesale Solutions with our 30 Day or 1000-mile, whichever comes first Power Train limited Warranty. Vehicles over 125,000 miles are excluded from this warranty and are sold as is. See our website, Vehicle Disclaimer for full details. This vehicle is located at our Loxley location. You can Call or Text us at 251-964-2265. Message: Thought you might be interested in this 2011 Coleman Travel Trailer.